The draft report, which is open for public comments until September 20, found no significant impacts to the environment. The U.S. Coast Guard is seeking public comment on its draft environmental impact statement on the design and construction of six polar-class icebreakers. The polar regions are growing in importance to the security and economy of the United States, the report says. As the environment changes, more people will likely enter the region — from cruise ship tourism to Navy operations to oil and gas exploration. All of this activity would likely lead to a rise in Coast Guard missions in the Arctic, particularly around search-and-rescue and security. Challenges to these missions include a lack of infrastructure, harsh conditions, and long distances in the Arctic. Constructing the icebreakers, the report says, would help address some of these challenges. The draft report looks at how the icebreakers might affect their environment, from natural resources like habitats and sea ice to activities like research, shipping and tourism. Impacts fall into two main categories, according to the draft. The first is acoustic: the sounds made by the vessel and the breaking ice, as well as potential noise from aircraft and guns. The second is physical: the movement by vessels and devices through the water and air. The analysis concludes that both sound and physical stressors would both result in, “at most, minor to moderate behavioral responses.” Any negative effects would be offset by improving operating practices, the report says. Meanwhile, the draft says an increased Coast Guard presence in the Arctic would like improve the local economy by offering more safety services to commercial and recreational fishers, researchers, shippers, tourists and subsistence hunters. 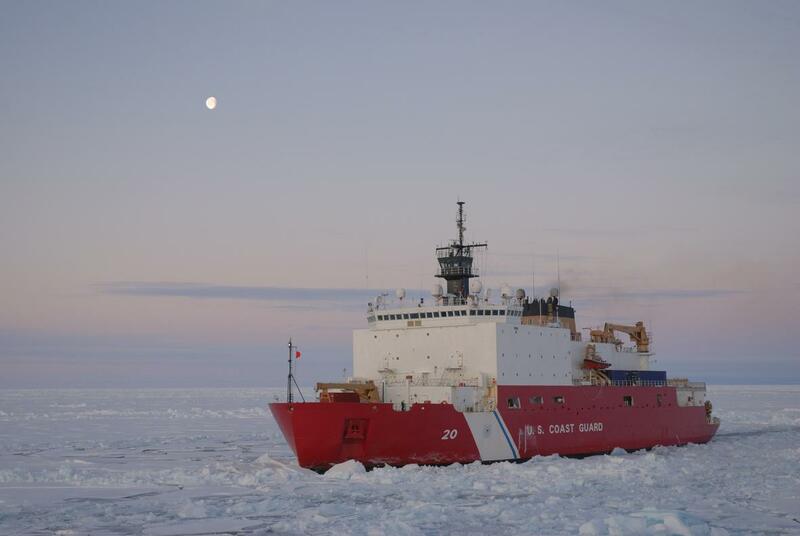 In short, the proposed construction of additional icebreakers “would not significantly impact or harm the physical, biological, and socioeconomic environments,” the report finds. The Coast Guard’s preferred option would be to design and build six new icebreakers, as Congress has directed. However, another option would be to lease vessels, as the Navy and National Science Foundation do, for instance. The environmental analysis is open to public comment until September 20.